Removal ProcedureRemove the battery tray. 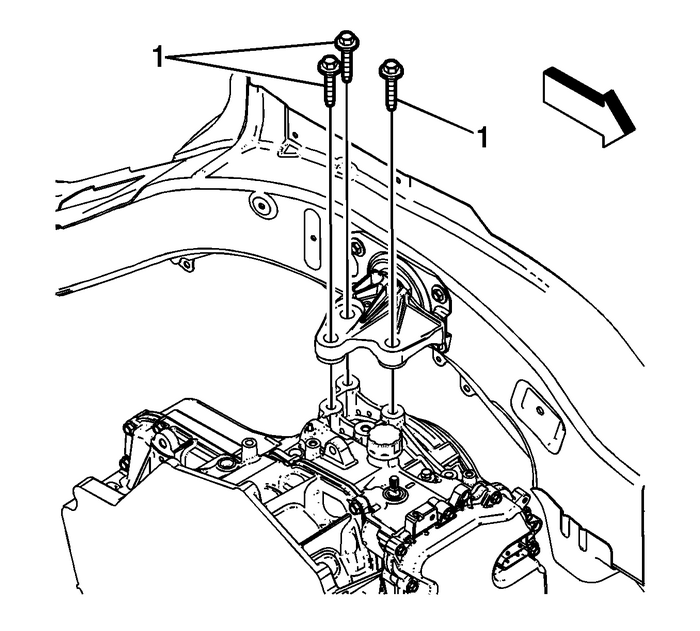 Refer toBattery Tray Replacement.Remove the underhood electrical center.Support the engine and transmission. 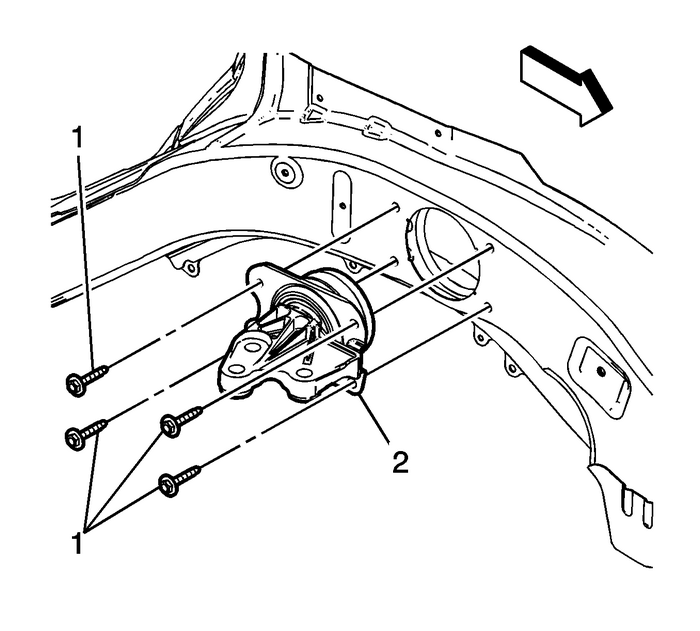 Remove the left transmission mount to transmissionbolts-(1). Install the left transmission mount-(2). Install the left transmission mount to frame railbolts-(1) and tighten to27-Y(20-lb-ft).Raise the transmission until the transmission contacts theleft transmission mount. Install the left transmission mount to transmissionbolts-(1) and tighten to50-Y(37-lb-ft).Remove the engine and transmission support.Install the battery tray. Refer toBattery Tray Replacement.Install the underhood electrical center.